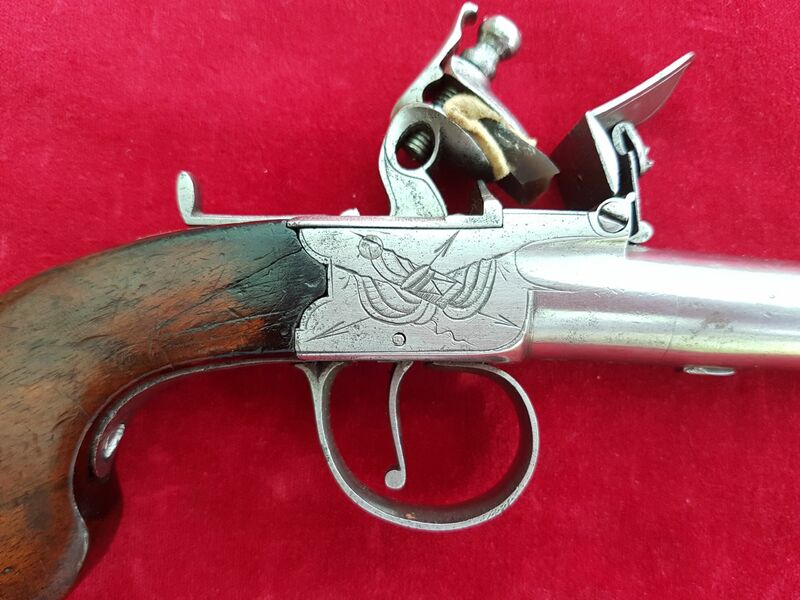 A good English Flintlock pocket pistol made by Smith. Circa 1800. Ref 1575. 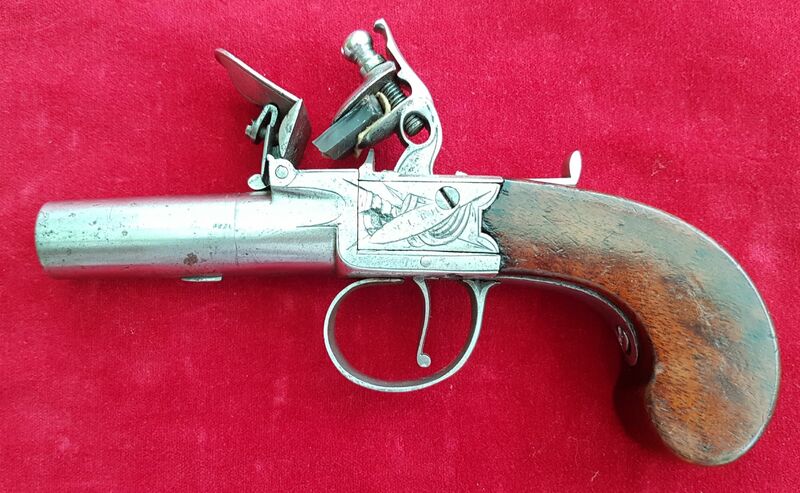 A good English Flintlock box-lock pocket pistol made by Smith. Circa 1800. 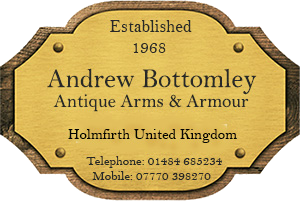 Stand of arms engraved to both sides of the frame, with the makers name Smith engraved in a panel to one side (engraving now faint). 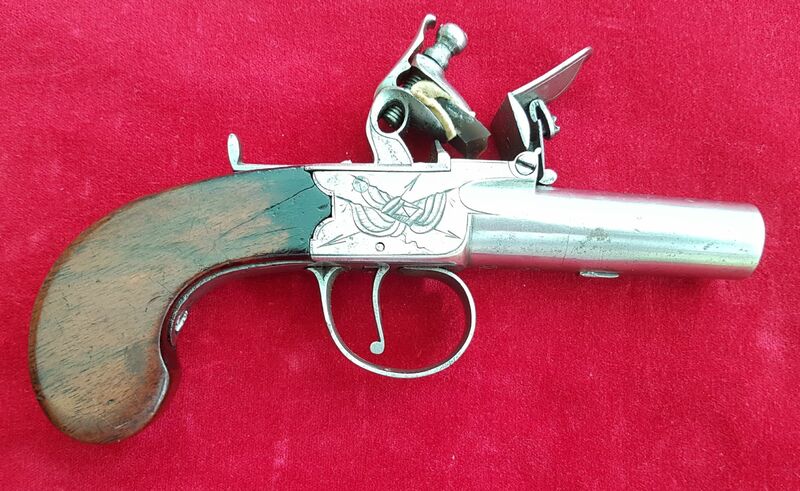 Engraved trigger guard. Two London proof marks stamped to the underside of breech. Flat sided bag shaped wooden grips. Overall length 6 inches. Action in good working order. 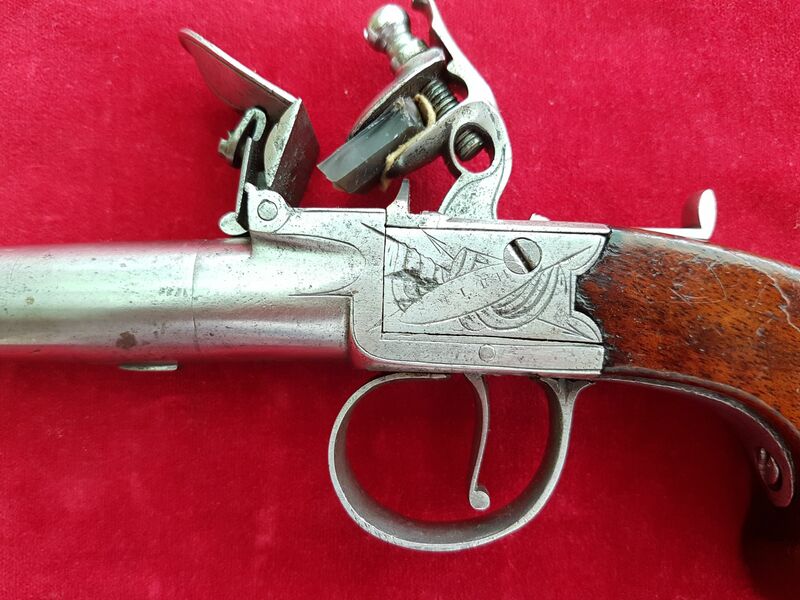 In good condition showing some minor signs of use and wear. Ref 1575.